Welcome to three-year old preschool! It is a blessing to spend this time with your child. 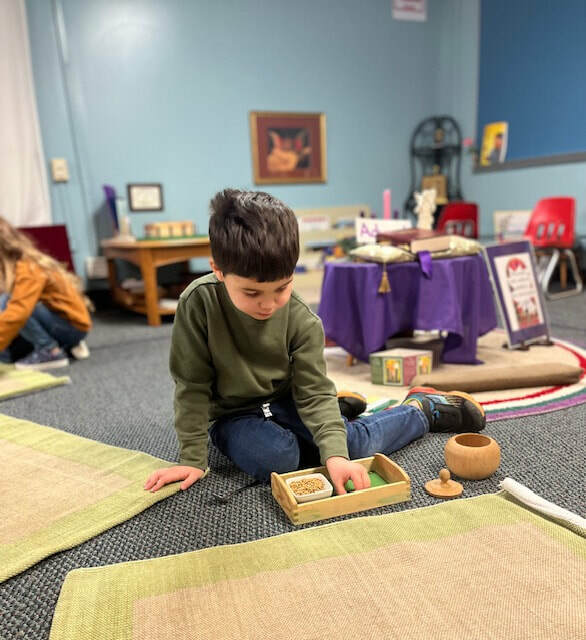 Our purpose is to create an exciting and enjoyable environment that encourages community and fosters intellectual, spiritual, physical, social and emotional growth for your child. We will provide many opportunities for learning through a variety of both indoor and outdoor classroom experiences. My education career in Ireland where I worked in the Irish Education School system during my time at Aquinas College. When I returned from Ireland, I finished my secondary education certificate at DePaul University. For three years, I taught History and Geography in the Chicago Public School system, where I met my husband. We have been married for twenty-seven years and have six children. All of our children have attended St. Mary Catholic school, MCES, and SMCC. For the past seven years, I have been working as a teacher’s assistant in our preschool classrooms. Currently, I am working toward a master’s degree in Early Childhood Education from Eastern Michigan University. Communication between families and educators are very influential in the growth of children. The best source of communication is through email or notes. We will check folders daily for communication. Our goal is to create a love of learning through a Catholic education.